On Wednesday, April 24th, 2013, customers can receive a complimentary small order of Fresh Cut Fries. No purchase is necessary. 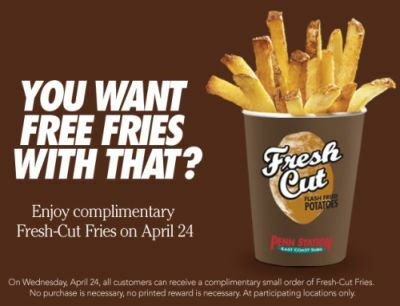 Click the link below to go to the Penn Station East Coast website to see this offer.